THE cost of living for an urban family of six decreased by 0,89% to $561,03 last month pushed down largely by a drop in food prices, latest figures from the Consumer Council of Zimbabwe (CCZ) showed. October figures marginally dropped to $561,03 from $567,033 recorded in the previous month which, however, remain high for the majority of Zimbabweans who earn less than $300 per month. In the period under review, the food basket shed $4,89 to $149,69 as prices of most commodities recorded a marginal decline. Decreases in prices were recorded in meat (beef) which went down by 48c to $3,90 per kg, sugar shedding 9c to $1,90 for a 2kg packet while the price of a 2-litre cooking oil bottle dropped by 5c to $1,70. Rice prices in the same period shed 45c to $1,59 for 2kg while washing powder lost 5c to $1,50 per 500g. 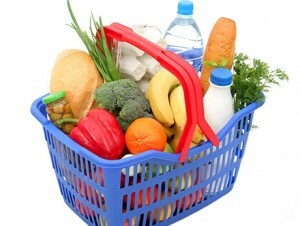 CCZ attributed the drop in prices to promotions currently running in various supermarkets. Detergents prices also decreased by 15c or 1,12% to $13,30 per litre. However, roller meal in the same period increased by 23c to $12,23 for a 10kg bag while margarine gained 11c to $2,36 for 500g. The prices of other basic commodities which include fuel, tea leaves, bread, salt, tomatoes, flour, fresh milk, onions, cabbage, and laundry soap bar remained unchanged from September figures. CCZ urged consumers to buy certified products and to exercise their right to information by carefully examining products for labels, packaging and vital information such as manufacturing and expiry dates. The consumer lobby group conducts this survey twice during the first and the last weeks of every month. The total cost of the food basket and the price of each commodity are arrived at by averaging prices obtained from retail outlets throughout the country.